It's fall and the feeling of change is everywhere. In the leaves, the smell of the air, the food in our gardens. 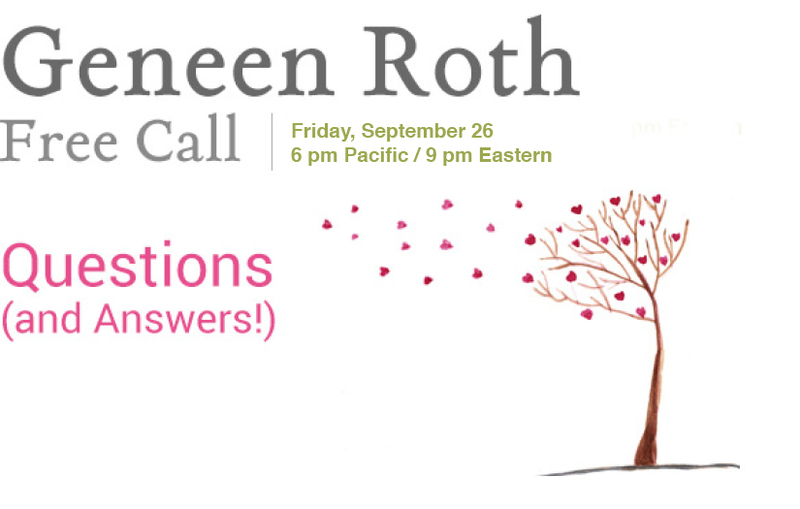 So last Friday, I answered your questions LIVE on a free call. It was fabulous -- as it always is when you get a group together about the issues that matter. To listen to this unforgettable call, click on the player above. This streaming audio will be available through Thursday, Oct. 9th. Feel free to share it with your friends and family members, or whomever you’d like to invite into our circle. We invite you to leave a comment below.